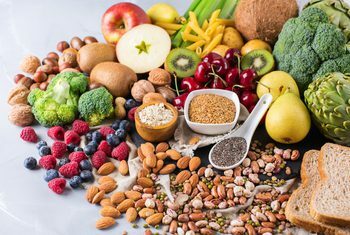 A good target for those wanting to reap health gains would be to eat 25g to 29g of dietary fiber a day, the analysis found. But the data, published in a series of systematic reviews and meta-analyzes in The Lancet medical journal, also suggested higher dietary fiber intakes could give even greater protection. “Our findings provide convincing evidence for nutrition guidelines to focus on increasing dietary fiber and on replacing refined grains with whole grains. This reduces incidence risk and mortality from a broad range of important diseases,” said Jim Mann, a professor at the University of Otago, New Zealand who co-led the research. Mann said the health benefits of dietary fiber — contained in foods such as whole grains, pulses, vegetables and fruit — come from its chemistry, physical properties, physiology and its effects on metabolism.